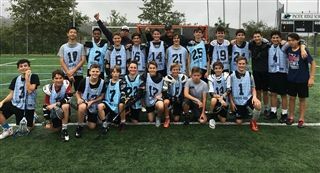 The boys middle school lacrosse team beat Valley Center on May 16 during a close championship match. The Firebirds were down early in the game, but managed to claw their way back to an adrenaline-filled finish. Valley Center kept the pressure high but the Firebirds held on to their lead, finishing 7-6. Congrats team on an amazing season!